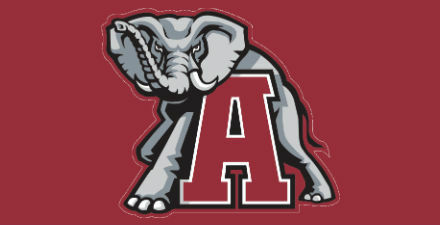 After their victories on Saturday, the Auburn Tigers and the South Carolina Gamecocks have both clinched a spot in the 2010 SEC Championship Game to be played on December 4th in Atlanta, Georgia. The Tigers defeated Georgia 49-31 in Jordan-Hare Stadium to stretch their record to 11-0 and 7-0 in conference, which was good enough to secure the SEC West Division Crown. A victory over Alabama in Thanksgiving weekend’s Iron Bowl against Alabama would give the Tigers an undefeated season, but even a loss there coupled with LSU winning the rest of their games would only be enough to give LSU a tie for the SEC West lead — and Auburn holds the all-important head-to-head tiebreaker. The Florida Gators and South Carolina Gamecocks played what amounted to a SEC Semifinal on Saturday night, as the winner in the matchup would be awarded the SEC East crown and a spot in the SEC Championship Game. Both teams were two losses clear of the rest of the division after Georgia lost to Auburn, and neither team will play another conference game this season. The Gamecocks proved too much for the Gators, beating Florida 36-14 on their way to clinching a berth in the SEC Championship Game and their first SEC East title. The Gamecocks stretched their record to 7-3 and 5-3 in conference with the victory. 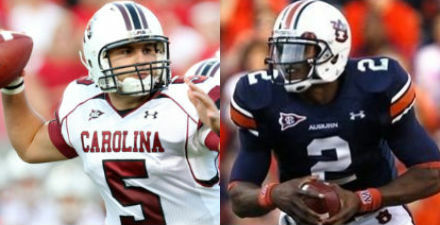 The Tigers and Gamecocks have already played this season, with Auburn topping South Carolina 35-27 at Jordan-Hare Stadium. 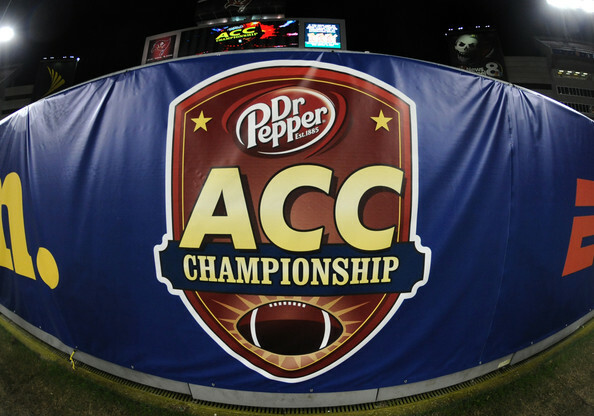 This game will be a neutral site game, and although Auburn is geographically closer to Atlanta than South Carolina is, the Gamecocks will be the “home team,” as designated by the SEC. 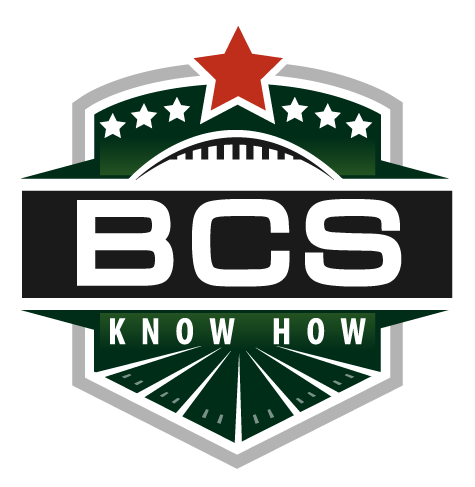 A victory in the SEC Championship Game assures the winner a BCS bowl bid, although Auburn will be looking for a bid to the BCS National Championship Game when the final weekend of the season rolls around.